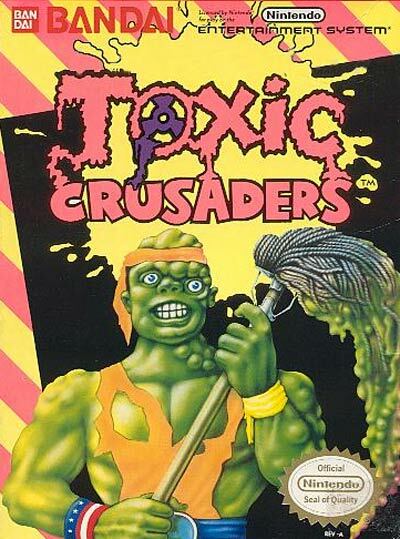 As Toxie, your first order of business is to defend the city of Tromaville from the nefarious Dr. Killemoff and the Radiation Rangers., While running some experiments at the Island City Chemical Plant, Melvin Junko accidentally falls into a vat of Grossolium 90. The highly toxic substance turns Melvin into Toxie, a heinously deformed mutant of superhuman size and strength. After joining his newfound friends Major Disaster, Nozone, Headbanger, and Junkyard in the TOXIC CRUSADERS, Toxie adopts a life of crime fighting. He will not rest until all evil is eliminated.